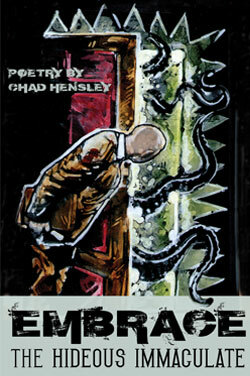 A skilled reporter on cultural extremes in music and art, Bram Stoker Award-nominated author, Chad Hensley, saw several years of his writing on underground subjects published as EsoTerra: The Journal of Extreme Culture, through Creation Books in 2011 now available at Amazon.com. 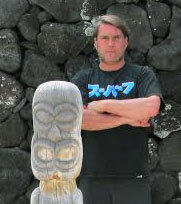 Hensley’s non-fiction has appeared in such praised publications as Apocalypse Culture 2, Terrorizer, Spin, Rue Morgue, Hustler, and Juxtapoz. He has sold short stories to the anthologies The Darker Side: Generations of Horror, The Dead Inn, Allen Koszowski’s Inhuman, and Chad’s short story collection with Wilum Pugmire, A Clicking in the Shadows, received an honorable mention in Year’s Best Fantasy and Horror. His poetry has also received honorable mentions in Year’s Best Fantasy and Horror as well as being nominated for the Science Fiction Poetry Association’s Rhysling Award. His poetry appearances include the magazines Star*Line, Dreams and Nightmares, Space and Time, Crypt of Cthulhu, Deathrealm, and the Chiaroscuro website. Chad currently resides in New Orleans, Louisiana.